As the costs of long-term care continue to rise, millions of aging Americans are realizing they are at risk of depleting their assets and savings to health care and nursing home costs. At VanAntwerp Attorneys, LLP, we are committed to helping our clients protect their hard-earned assets. Our lawyers use a variety of sophisticated estate planning tools such as trusts, strategic gifting, family limited partnerships and the purchase of long-term care insurance to help clients protect and preserve their family’s legacy. You don’t need to go to a large city to find quality legal representation. 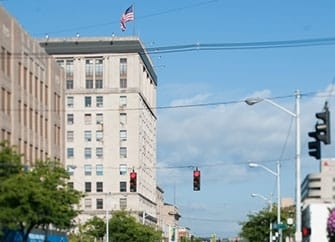 At VanAntwerp Attorneys, LLP, we are one of the largest and oldest law firms in eastern Kentucky — and we are located close to home. For almost 100 years, our firm has been delivering quality legal services to generations of families in the area. As your legal counselors and your neighbor, we want to make sure you have the long-term care plan you need to protect yourself and your family in the future. For more information about our elder law services, please call 606-329-2929 or contact our firm online. Our office is located in Ashland.